Steven (Chicagoland, United States) on 25 July 2013 in Landscape & Rural and Portfolio. South rim of the Grand Canyon. Stunning capture of this painted desert! Such a beautiful location - I really hope to get out there someday. Lovely frame, Steven! Splendid !! Superb light . Entre ombre et lumière... Génial. awesome view, supernatural colours !!! so so beautiful frame, colors, lights & texture! Amazing view, however I've never seen it so BLUE that late in the day. Did you do some color adjustment? 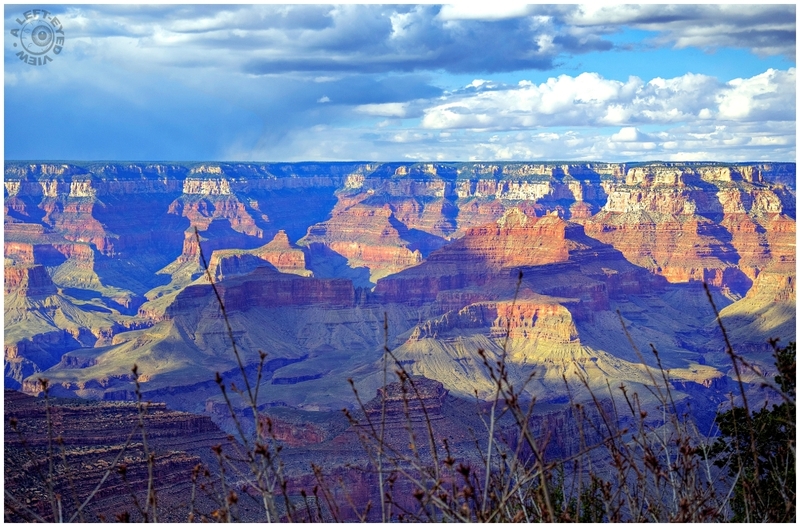 @Judy aka L@dybug: Perhaps I should have titled this shot, "Late Afternoon in the Grand Canyon"? After checking the file data, the photo was taken at 5:17 PM. A spectacular capture of this amazing canyon! This is just spectacular! Gorgeous light! That really shows us what a layer cake this earth is. Initially I thought the shot was morning time because of the blues. But I love it and the straightness of the top. It's beautiful! !